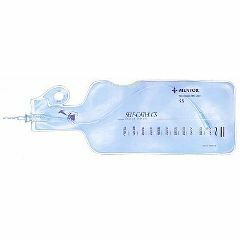 The Self-Cath Closed System - Single Unit is a latex-fee unisex system that provides a method for safe, simple catheterization designed to reduce the risk of urinary tract infections (UTI's). It includes 100% latex-free Coloplast Self-Cath catheter. The new EasyOff tear tab makes it easy to use, even for patients with limited dexterity. Not much to get excited about. Open the package, use it, throw it away. In that capacity, it works great!